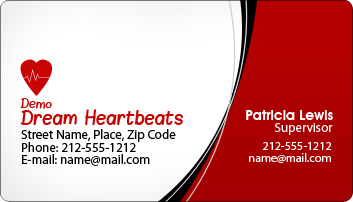 These personalized healthcare business card magnets 2x 3.5 round corners – 25 MIL works perfect, if you are trying to build trust around your brand. This magnet is crafted to last and stands perfect for healthcare marketers such as pharmacists, doctors, clinics, alternative and holistic healers, etc. This magnet comes with excellent laminated finish, which delivers desired impact to the business messages imprinted on it. You can avail many other value benefits such as free art set up & design and free shipping along with this magnet. Request a quote to know wholesale price savings that you can avail on ordering these custom healthcare business card magnets 2x 3.5 round corners – 25 MIL.